If you’re in the midst of your MBA studies, there’s a good chance that you’ve already started a career that you love, or that you’re seeking a transition into a new industry. Perhaps you’re still in the exploratory stage with regard to future jobs and other post graduate options. Either way, it’s helpful to set your sights high as you make your next move. LinkedIn recently published its list of 2019’s Top Companies based upon user data. Authors asked which companies were attracting the most attention from job seekers, and which ones retained the most satisfied employees after hiring in order to compile the list. To make it useful to our readers, we’ve broken down the list into the top five in three categories: tech, finance, and entertainment. Alphabet, the parent company of Google, YouTube, and Nest, among others, tops the list of the most desirable firms on LinkedIn’s list. With 98,800 employees worldwide, Alphabet is headquartered in Mountain View, CA, and has offices in New York City and Seattle. According to LinkedIn’s data, Project and Program Management, and IT positions have the highest number of new hires. With Google’s current investment of $13 billion for expansion in the U.S, it is a great time for MBAs to explore possibilities at Alphabet. 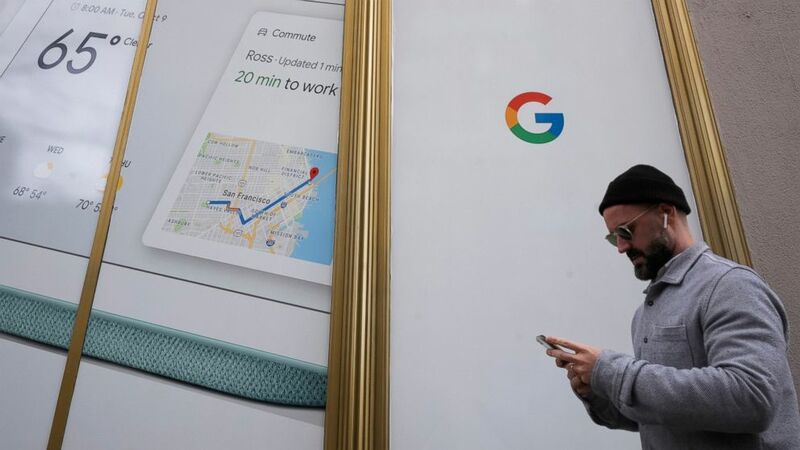 Google’s parent company, Alphabet, plans on expanding across half of the U.S. by the end of the year. Current open positions include a Project Managment Summer Internship in Mountainview with Loon, an Alphabet subsidiary; and a Summer internship at Google’s Reston, VA office with one of several teams including finance, strategy, product management, and operations. Facebook, the parent of What’s App, Oculus VR, and of course, Instagram, was ranked second overall on the LinkedIn ranking. Like Alphabet, Facebook employs the most new hires in its project/program management and IT departments. Facebook has 36,000 global employees and is headquartered in Menlo Park, CA, and its top hiring locations are Seattle, New York City, and San Francisco. Facebook is now hiring a Consumer Marketing Manager for Messenger, a Marketing Manager for Data & Privacy, a Finance and Business Operations Manager within its Global Marketing Solutions department, among other positions. San Francisco based cloud software company Salesforce, with 22,000 employees across the U.S., is another of the top companies for tech-related careers according to LinkedIn. With a large number of new hires in engineering, business development, and sales positions, Salesforce is a wise target for MBAs. Current open positions include a Platform Engineering Product Manager in both the Dallas, TX and Indianapolis, IN offices; and an Analytics Lead for Strategy & Growth in the San Francisco office. All three of these positions encourage recent MBA grads to apply. 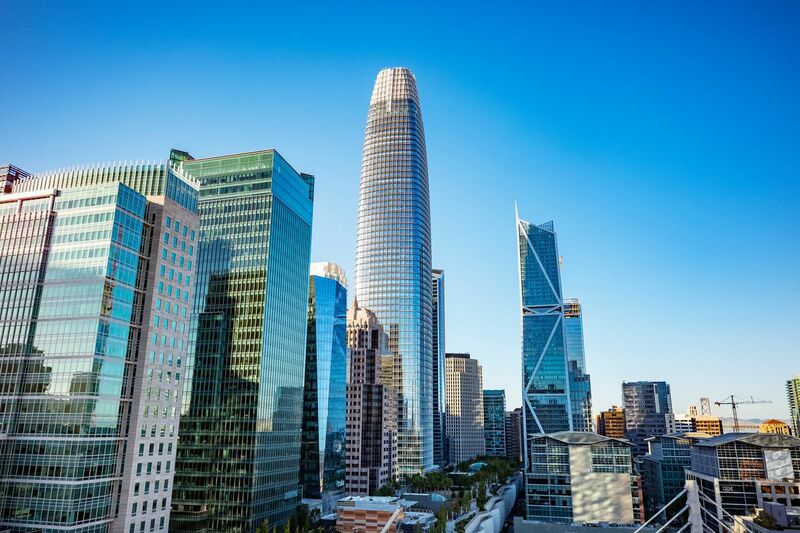 Outside the Salesforce Tower, the tallest building in San Francisco, located in the downtown South of Market district. The company was ranked fourth overall on the annual LinkedIn list. With available positions for Senior Managers in New York City, Annapolis, MD and Durham, NC, along with Finance and Business Strategy positions in Culver City and the Cupertino headquarters, Apple is another top destination for job seekers on LinkedIn. New hires most often land in IT, Engineering and Sales Positions. Its ever expanding campuses are set to hire 20,000 people by 2025, and a brand new, $1billion campus is planned for Austin, TX. Oracle, ranked ninth overall on the LinkedIn list, employs 137,000 global employees, and also hires many of its new employees in IT, sales, and engineering. With a reputation for hiring a large number of new grads, Oracle takes great pride in a culture of camaraderie. In a recent LinkedIn article on the topic, Kim Levin, Oracle’s senior organization and talent development consultant, says, “We understand how important it is to have that first, successful onboarding.” Its robust recruitment program hires from a number of large universities like Ohio State and Penn State, along with private colleges and universities. Recruits are sent to one of Oracle’s hubs in Austin, TX; Reston, VA; Burlington, MA, or Santa Monica, CA, where they can connect with fellow recruits and become acclimated to their jobs. The company is currently hiring an Innovation Program Strategist in Philadelphia, as as well as for a Financial Analyst position in Reston, VA, and Cloud Sales positions in Chicago and Atlanta. Amazon, third on LinkedIn’s list, employs 250,000 people in the U.S. alone. As parent company to Whole Foods, Zappos, and Audible, along with its thriving media and entertainment brand, Amazon has a multitude of job opportunities for MBAs. Operations, Engineering and Sales are among the top departments for new hires, and the company is also seeking to fill positions for a Senior Product Manager for Technical Products, as well as Program and Project Manager positions in Seattle. 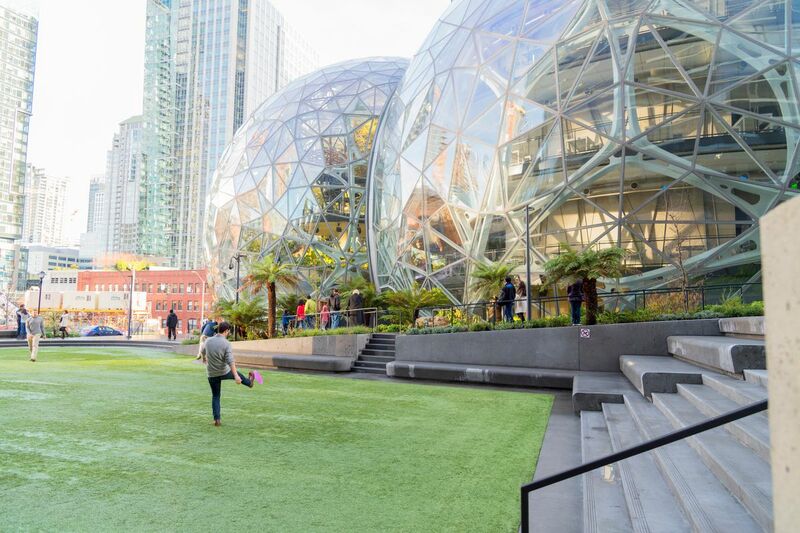 Despite major expansion, Amazon, ranked as the second best company in the U.S. by LinkedIn, the tech giant still calls Seattle home, with plenty of openings for MBA talent. The 11th ranked Netflix, with 5,700 employees in the U.S., continues to expand its workforce in an effort to remain competitive amidst the growing crowd of streaming content providers. According to a recent Quartz article, Netflix wants to be perceived “less as a subscription-driven technology business and more like a movie studio or TV network’, which is good news for MBAs seeking an entertainment focused career. Netflix is currently hiring in content marketing management, product management, and finance, ad well as in multiple other roles at their Los Angeles offices. Although it was originally founded outside the U.S., music streaming giant Spotify ranked 14th overall on the annual LinkedIn list, with offices in Los Angeles, San Francisco, Boston and New York. Spotify is hiring Business Development Analysts, Project Managers, and Production Managers and various other positions nationwide. Comcast NBCUniversal continues to rule the media landscape in the U.S. with 184,000 employees. The company’s top hiring cities are New York, Los Angeles, and Philadelphia, where its new Technology Center recently became one of the city’s largest employers. 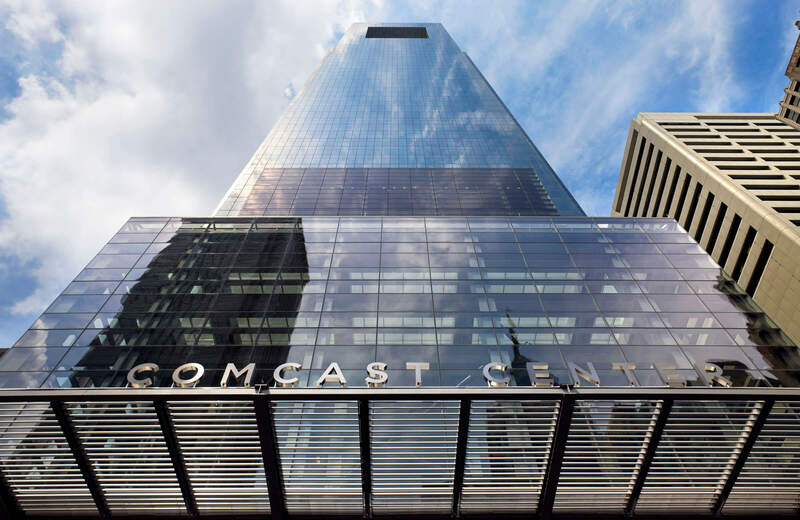 Comcast is currently seeking a VP for eCommerce and a Financial Operations Auditor in Philadelphia, along with MBA Summer interns in its Santa Monica, CA location. The massive Comcast Center in Philadelphia tops the city skyline, with the two biggest buildings in the United States outside of New York or Chicago. The major media company ranks 15th overall on the LinkedIn top company list. Disney, the parent company to ESPN, Pixar, and ABC, has over 200,000 employees globally. It hires the most new employees in operations, media & communications, and business development. The company supports education for its staff at all levels—it will cover the price of school for both full and part-time employees. Disney’s top hiring U.S. locations are Orlando, Los Angeles, and New York. Current available positions are a Digital Pricing Manager in New York, a Senior Financial Analyst in Orlando, and a Finance Manager in LA. With nearly 85,000 employees, Deloitte is the top-ranked finance company on the LinkedIn Top Employer list at fifth overall. Deloitte is currently hiring for numerous positions, including Accounting and Reporting Manager in Philadelphia, Strategy and Operations Associates in New York and Chicago. If you’re hoping to work with Bank of America, ranked 18th overall, it’s good to know that they currently acquire the most new talent in finance, sales, and support roles. New York, Dallas-Fort Worth, TX and Charlotte, NC are its leading locations. Globally, Bank of America employs 200,000 people. Available job openings include an Executive for InterAffiliate Services and a Product Services Consultant in Charlotte, along with a Senior Relationship Manager position in Boston. Goldman Sachs, 21st overall, hires the most new people in IT, business development, and finance, and has a worldwide headcount of 36,600. It has recently implemented higher standards for diversity, pledging to grow its numbers of female and non-white employees. Dallas-Fort Worth, Salt Lake City, and New York City are its most-searched locations, according to LinkedIn. Goldman Sachs is hiring in New York City for Associates and Analysts, and also for Operations and Associate positions in Dallas-Fort Worth. Citi, 22nd overall, has a high numbers of new hires in business development, finance, and leading offices in New York, Dallas, and Tampa, where they are all currently hiring for analyst positions. Citi employees 66,000 people in the U.S., and each of these offices is currently hiring analysts, among other positions. Like Goldman Sachs, Citi has stated its commitment to increasing diversity—the company has pledged to expanding the numbers of women in its highest ranks, from VP to Managing Director, to 40 percent by 2021.